Our product range includes a wide range of take up & pay off stand, portal type self traveling pay off stand and portal type self traveling take-up stand. 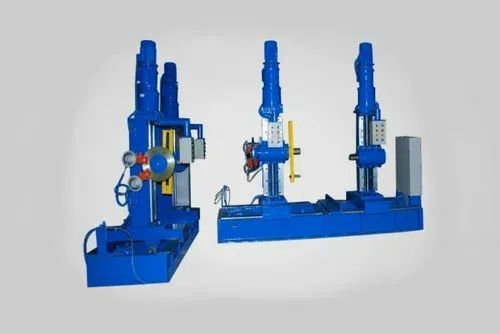 Multi Pack Machinery Company Available in sizes between 2600mm to 4000mm, these stands comprise a entry frame work, 2 Pintle carriages and powerful system, Its thickness is adjustable. The flanged heels at the feet of the columns roll on rails fixed in the floor. It has 3 motorized systems and control cabinet. Take up stand is motivated by DC thyristor motor in speed mode or torque mode. Which depend on purpose. Three speed gear box allows the selection of best possible sensitivity of tension manage throughout the full range of drum side. With the capability of our skilled expert, we can develop an advanced line of Portal Self Traveling Pay Off Stand. These stands are appropriately suited for cable working speeds of upto 1500 meters/min. 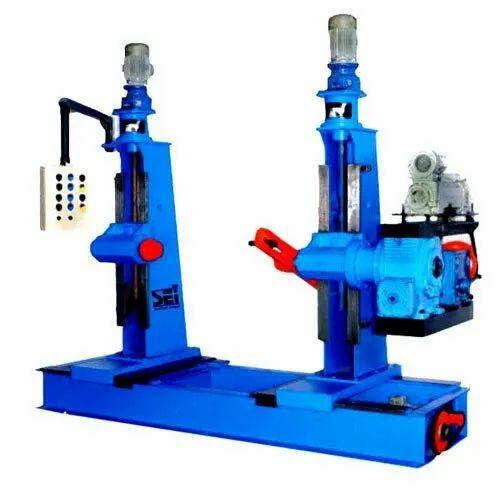 Manufactured as per the industry standards, these stands can be easily loaded or unloaded from the front of the machine. Further, a drum can pick it up from the floor without the harass of propositioning or centering. Clients be grateful for our stands for easy operatabiliy, which is due to a pendent control box that contains a push button suspended from the pivotal arm. Suitable for working of cables upto 150 mtr. per minute. 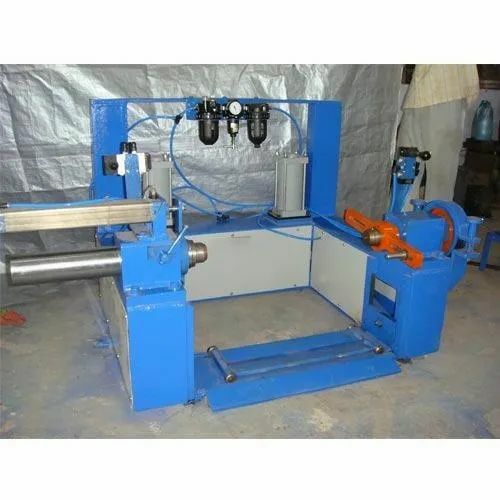 Easy to load or unload from front or back of the machine. Drum pick up from ground without preposi tioning or centering. Very simple to operate from pendent control box containing push button suspended from pivotal arm. We have with us, a wide range of Portal Self Traveling Take-Up Stand, which is manufactured in varied sizes range between 2600 mm to 4000 mm. It comprises of a gateway frame work, 2 pintle carriages, heavy system, 3 motorized systems and control cabinet. due to a flanged heel at the feet of the columns, which rolls on the rails fixed on the floor, it’s distance across can be adjusted. The stand is driven in speed mode or torque mode, through a DC thyristor motor, which adjusts the speed based on the application. Further, with a three speed gear box, optimum sensitivity of tension can be selected, which can be maintained same throughout the entire range of drum side. Available in sizes between 800mm to 4000mm, these stands comprise a portal frame work, 2 Pintle carriages and driving system, Its width is adjustable. The flanged wheels at the feet of the columns roll on rails embedded in the floor. It has 3 motorised systems and control cabinet.